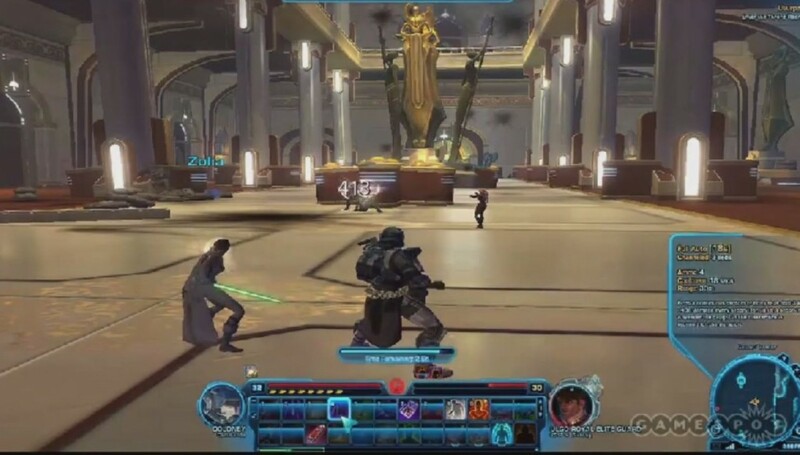 Facebook fans of the Star Wars: The Old Republic page received quite a treat when Daniel Erickson, Lead Writer – BioWare stopped by for an impromptu Q&A on Sunday. Daniel: Darkside changes will happen to your appearance as well. 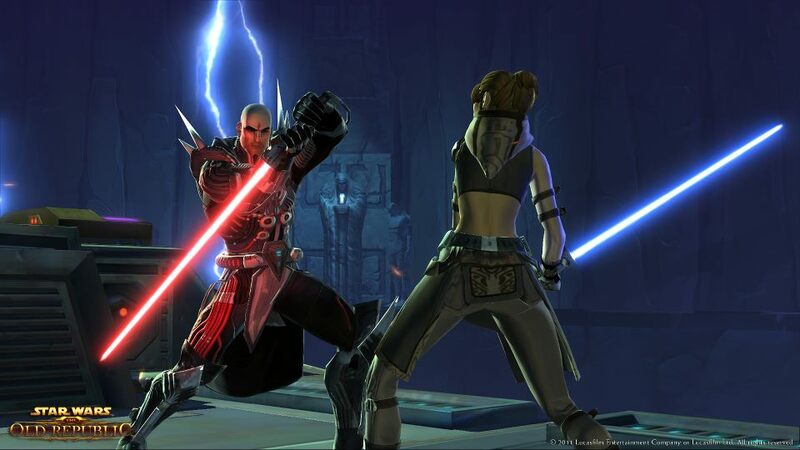 This week’s Facebook Image features a beautiful action shot of the Jedi Knight in a lightsaber duel. Nice shoulder spikes. 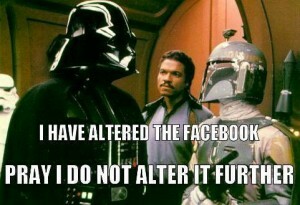 OK, so Vader is talking to the wrong person, but we still thought this was pretty funny. The Star Wars: The Old Republic Facebook page has received over the 400,000 likes! 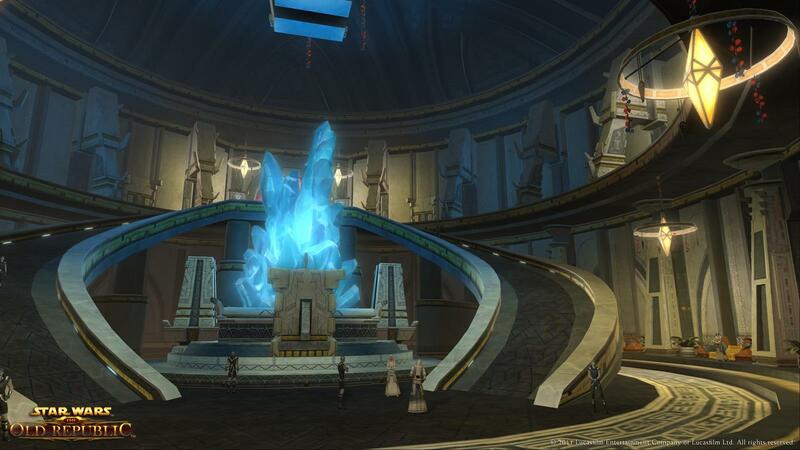 So for all the fans they gave us an extra screenshot, from the planet Voss!